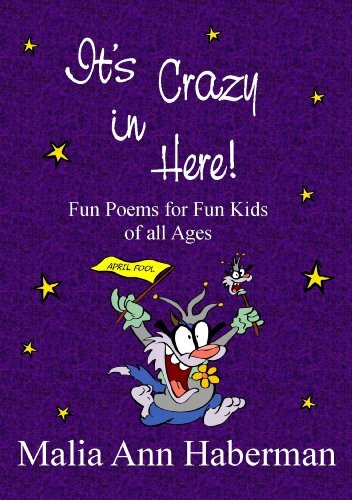 On the last day of poetry month, I thought it appropriate to review a book containing a selection of poems that will delight members of the entire family. This is a fun book that will have even those children who would never read a poem change their minds. The author has chosen a wide variety of topics that will appeal to boys and girls. There are monsters, fleas, dragons, dogs, cats, and bedbugs. Situations, like eating leftovers, classroom pranks, and falling in love, are explored with finesse and humor. April is poetry month. Teachers might use this book to entice their students to explore poetry. 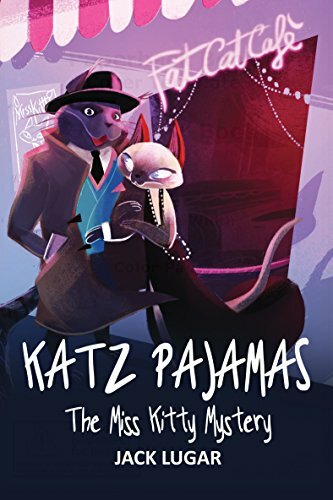 While the book is recommended for ages five and up, I would especially recommend it to middle-grade students. 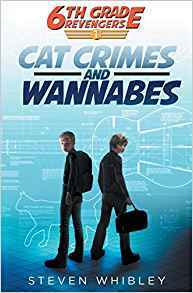 First in a series of chapter books featuring a fifteen-year-old girl named Wendy and Black, her cat. Wendy has been endowed with a special gift. Once every hundred years a member of her family develops the ability to converse with cats. Wendy uses this gift to communicate with her cat. Together they have become a talented detective team. 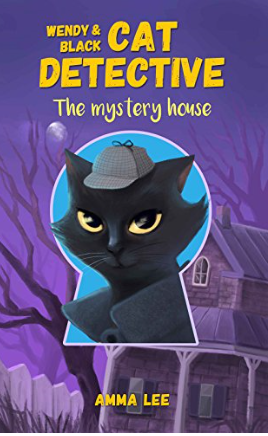 When a house down the street suddenly appears to be inhabited, Wendy and Black set out to investigate. Wendy’s mom, Mrs. Michaels, asks her to pick up a welcome package for the new neighbor. Wendy and Black cannot contain their curiosity. They illegally break into the house drawn in by a mysterious purple light. When the floorboards cave in, and Black detects Mrs. Michaels’ presence in the house, their level of fear rises. Will the detective pair solve the mystery? Is Wendy’s mom safe? This is a short chapter book that is most appropriate for beginning readers. There are a few editing issues. The book is targeted for nine to twelve-year-old readers but probably is not challenging enough for the older end of that age group. I would recommend it especially for reluctant readers and mystery fans. Interesting short chapter book centered on a pet white rat who seizes the opportunity of an open cage door to escape and see the world. 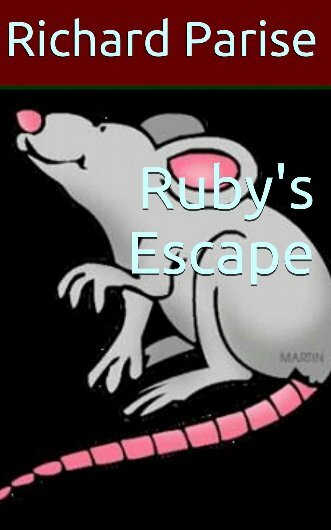 After Heather leaves for school one day, Ruby, her pet rat, discovers the cage door ajar. Now Ruby has never been outside, but she is a determined, talented, and resourceful rat. After deciding to make her move, Ruby avails herself of the cat’s food and gnaws a hole through the screen door to escape into the back yard. There she encounters Crafty, a fellow rat, and Digger, a gopher. Ruby almost drowns in a swimming pool, gets trapped in a dumpster, and meets a group of mice living in the garage. When Heather arrives home and discovers that Ruby is missing, she and her cousins search far and wide. Does Ruby want to return to her cage? Will her hiding place be discovered? While this book is short, it is fun and humorous. Ruby recites some clever poetry and can turn a clever phrase. 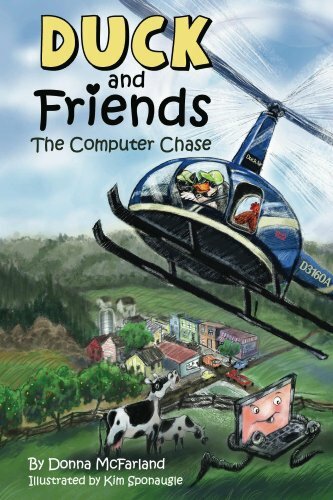 Beginning readers will love the quirky plot and clever animals. Recommended especially for readers in the six to nine age range.